Here is a pristine Ericofon with the original, old style case. 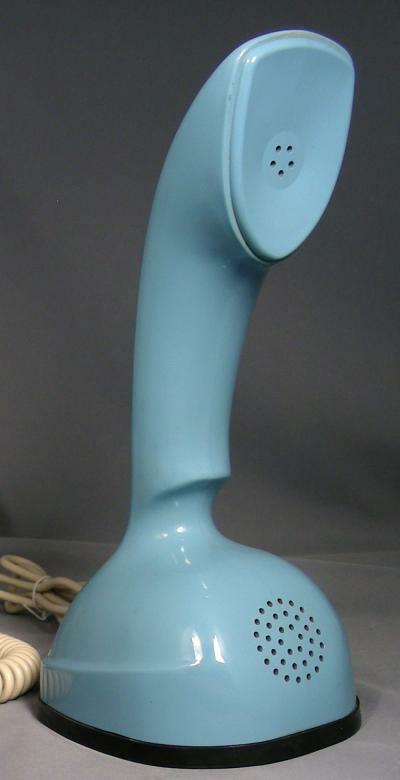 This phone is "Wedgewood" (country blue) in color. The body of the phone is in unbelievable condition, free of cracks or scratches of any kind. 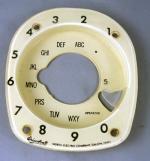 The rotary dial spins beautifully and you can talk and hear loud and clear. We have added an internal buzzer to alert you of incoming calls. 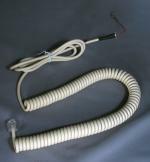 A reproduction Ericofon coiled line cord with modular plug has been added to this classic for easy use. Simply plug your new Ericofon into any standard jack in your home and call away. The unmistakable profile of this beauty will be sure to be the conversation piece of your household! Quoted shipping rate is good for US and Canada. Additional shipping charge for international shipments is $6 for surface, and $18 for air. Scroll down to add international shipping to your Ericofon order.